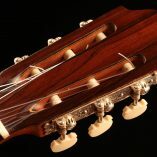 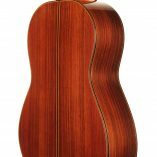 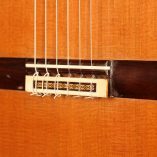 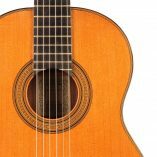 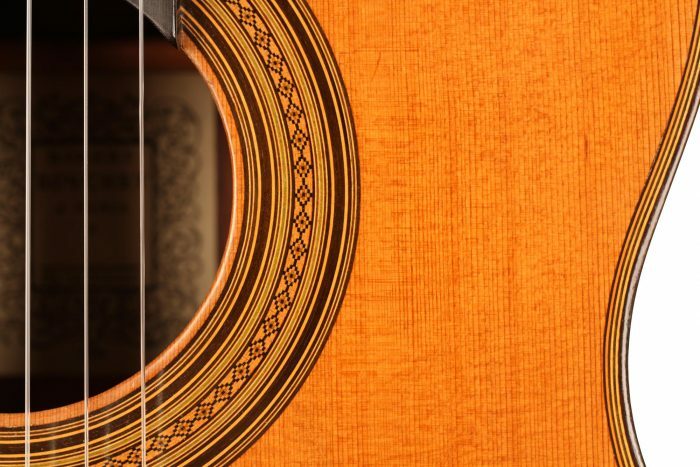 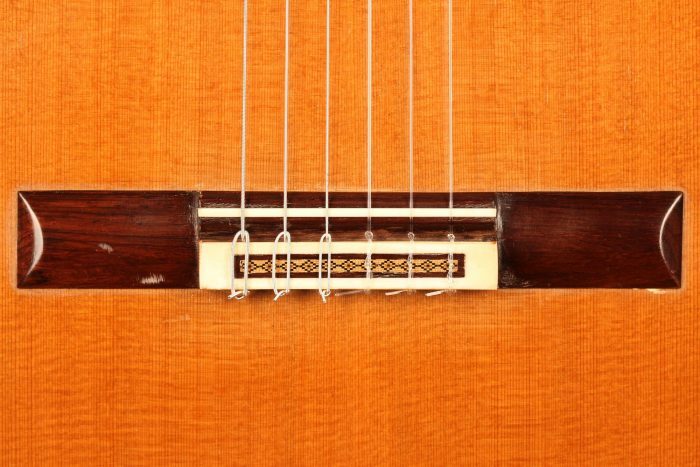 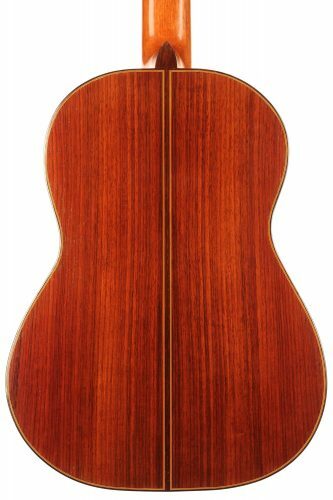 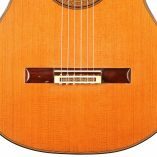 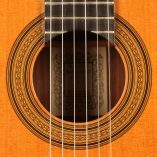 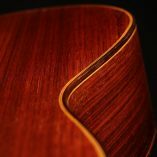 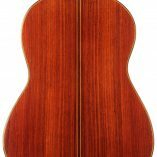 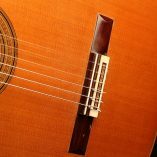 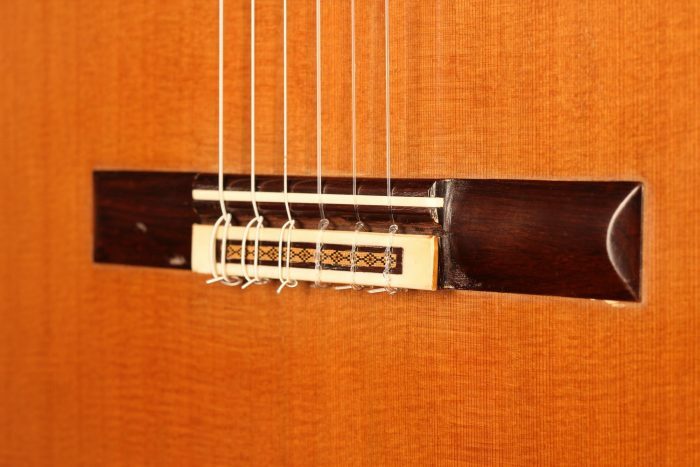 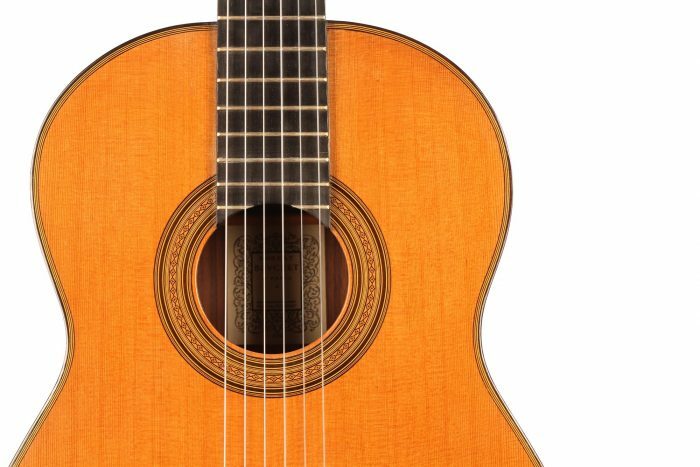 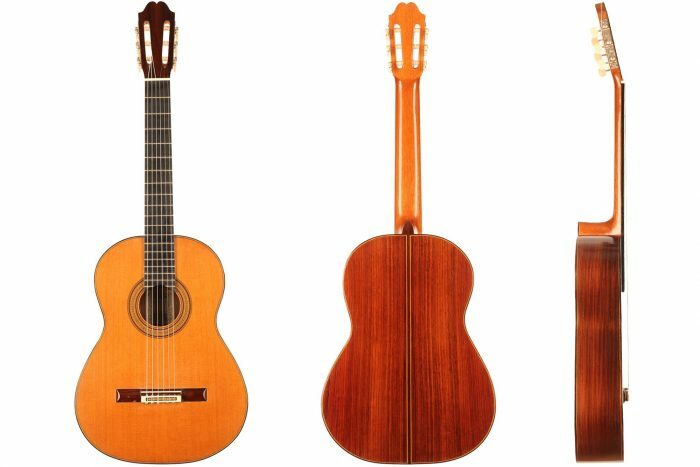 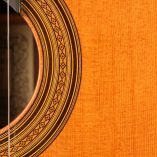 After Antonio de Torres and Hermann Hauser, Robert Bouchet (1898-1986) is the best-known and most sought-after guitar builder in classical guitar history. 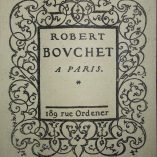 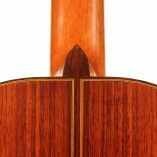 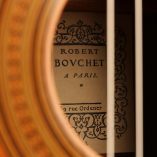 Although Robert Bouchet was known as a professor of painting in Paris, in the second part of his highly artistic life he devoted himself to the art of guitar building. 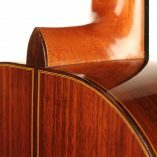 In the second half of the 20th century, he built outstanding fine guitars in Paris and thereby launched a fundamentally revolutionary approach to guitar building, which would be today’s “French school of guitar building”. 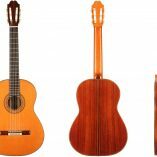 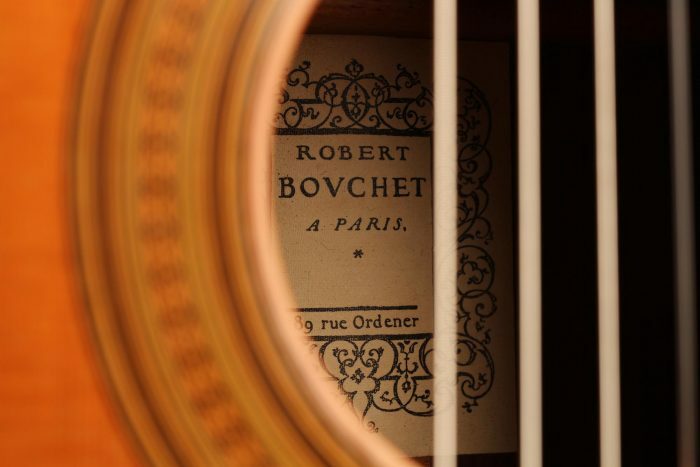 Robert Bouchet built only 154 instruments and left an invaluable legacy to the world of classical guitar making. 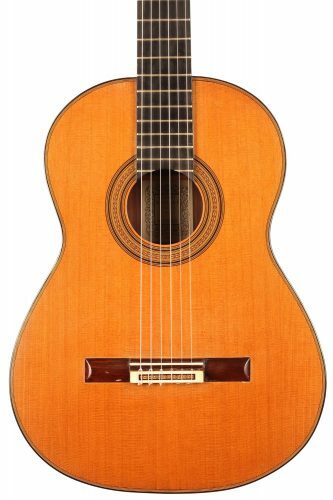 This 1977 guitar with the number 147 is one of his youngest instruments and was built when he was at the height of his knowledge and skill. 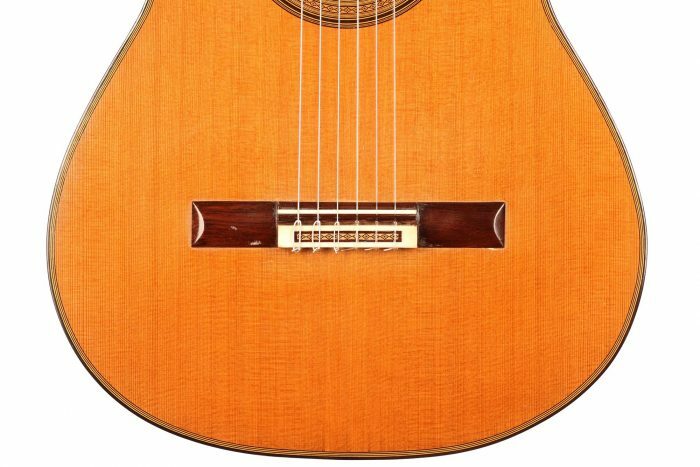 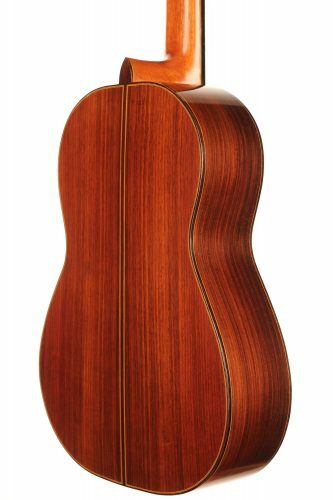 Two features make this instrument a rarity: it is the only cedar top guitar R. Bouchet has ever built. 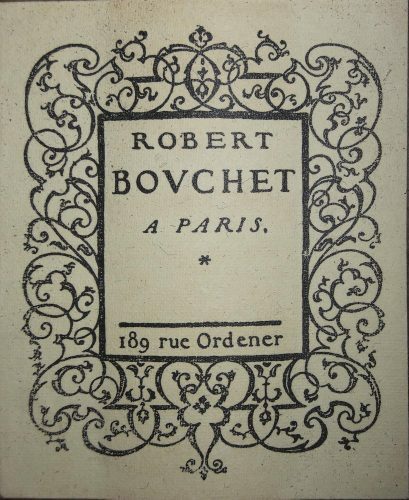 It is in a pristine original condition, free of cracks. 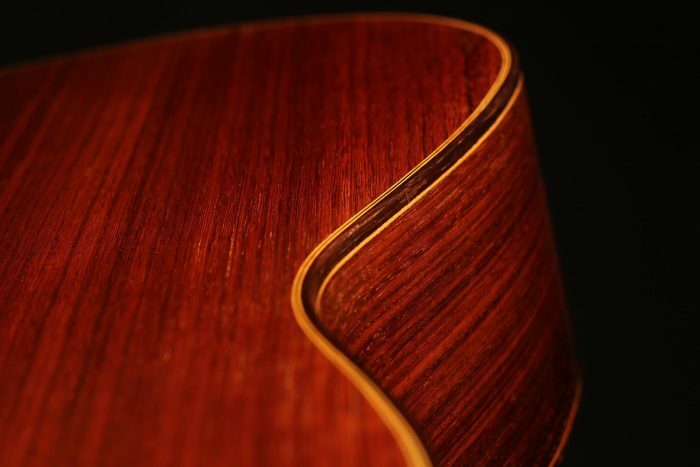 Even the varnish and the mechanics are original. 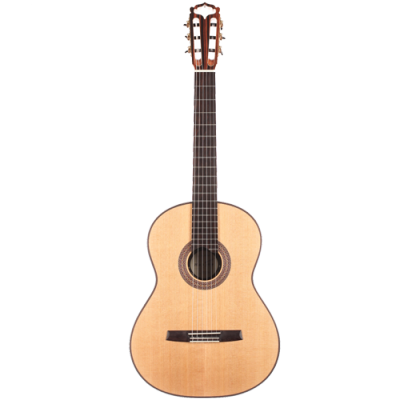 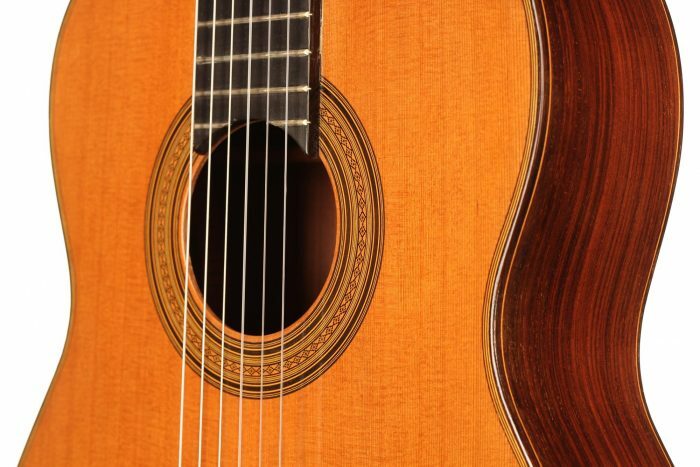 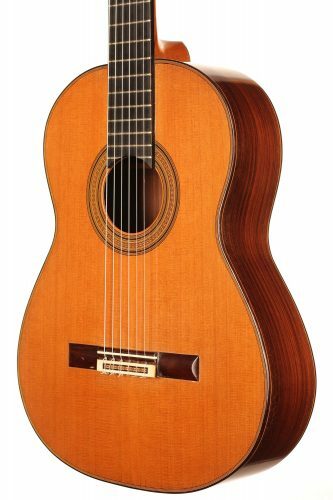 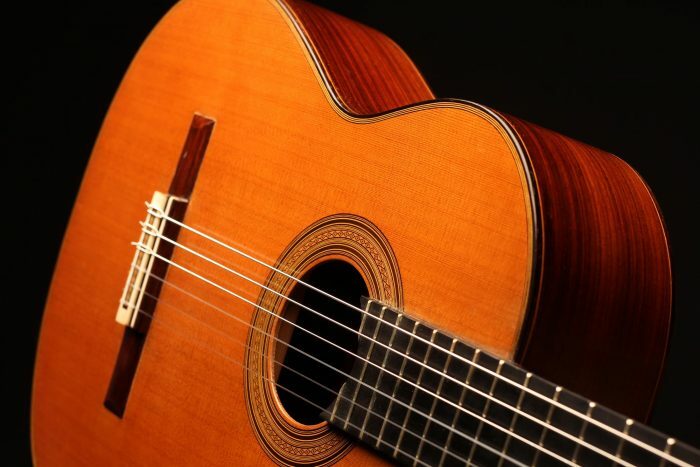 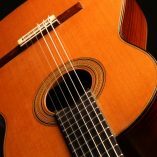 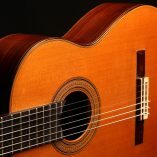 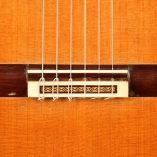 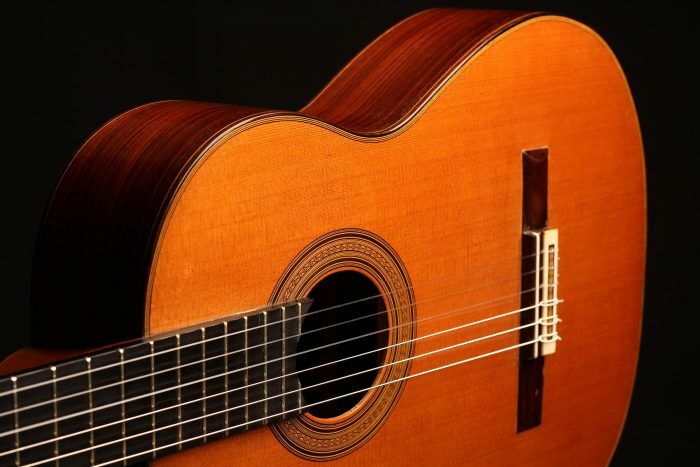 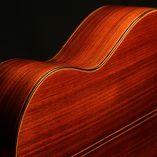 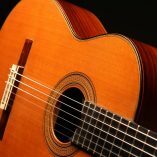 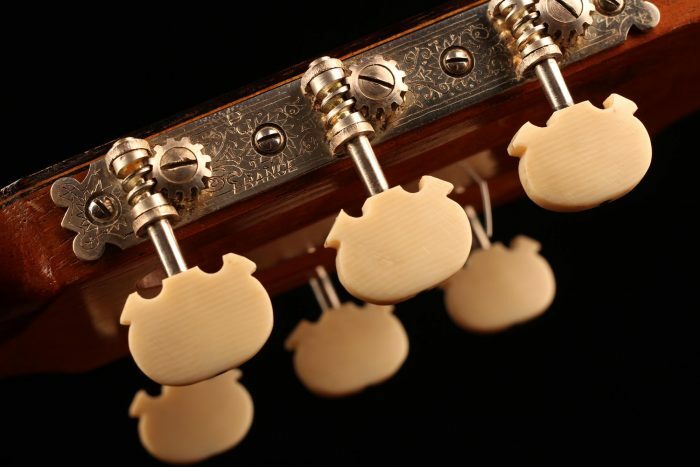 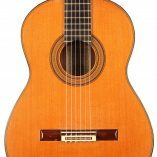 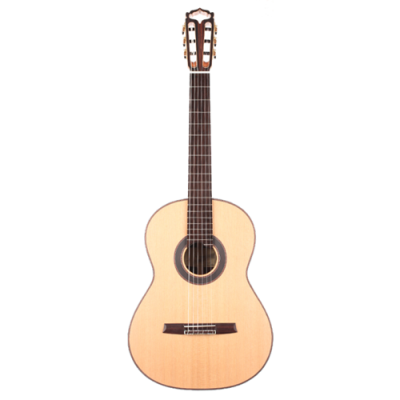 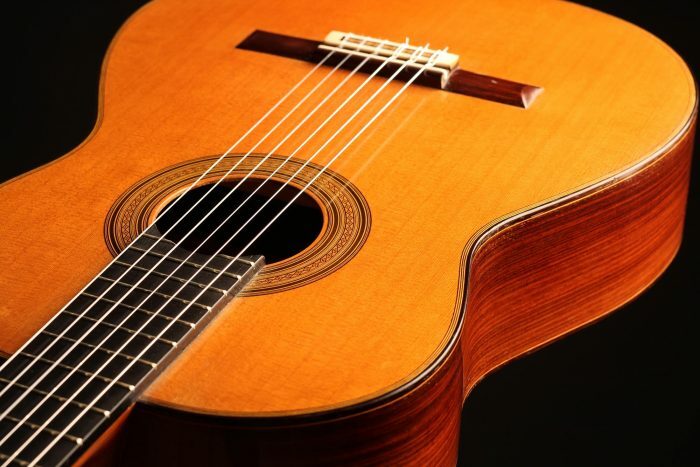 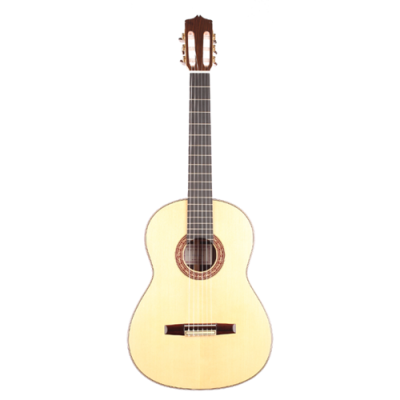 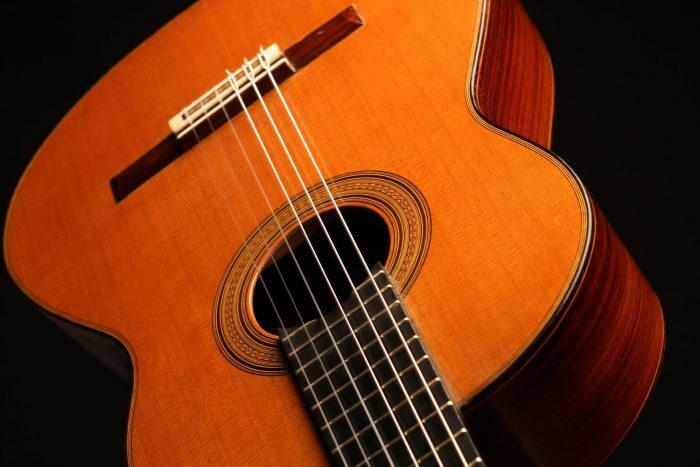 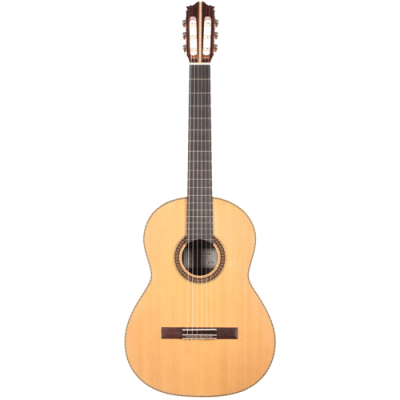 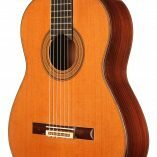 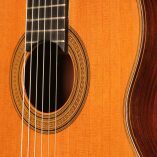 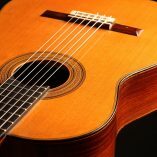 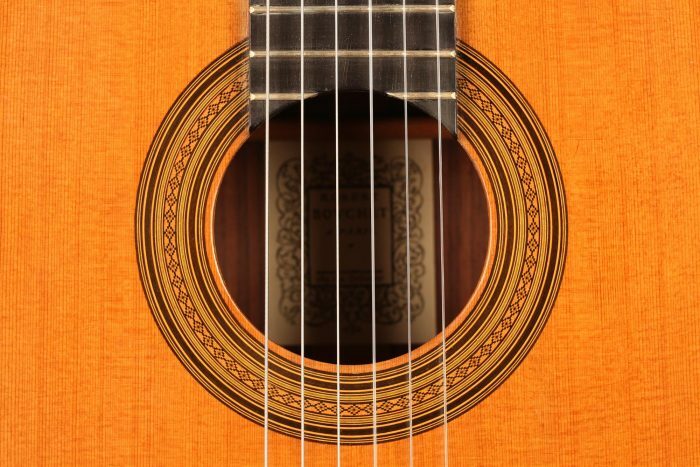 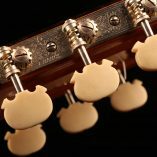 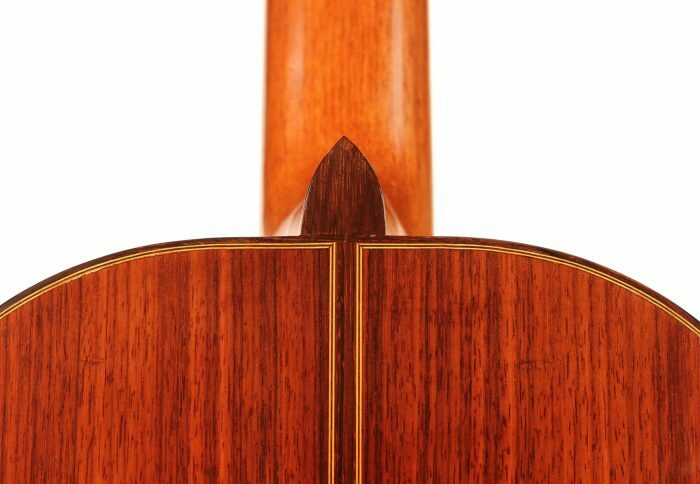 All conceivable qualities of a classical guitar are combined and united in this sophisticated instrument. 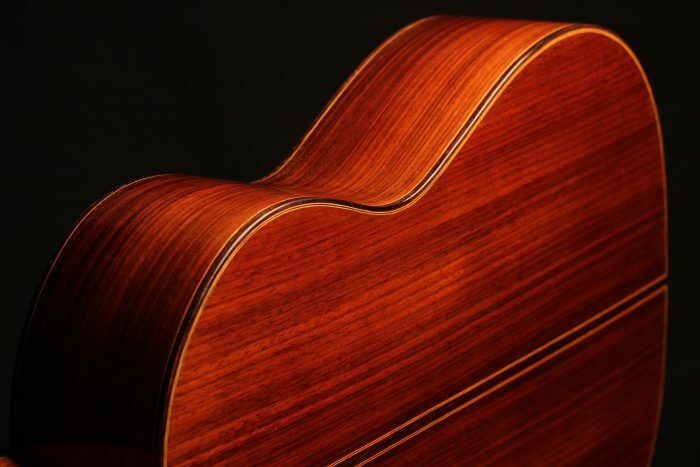 Each note evolves and rings like the bell of a cathedral, with an incredible complexity and fullness. 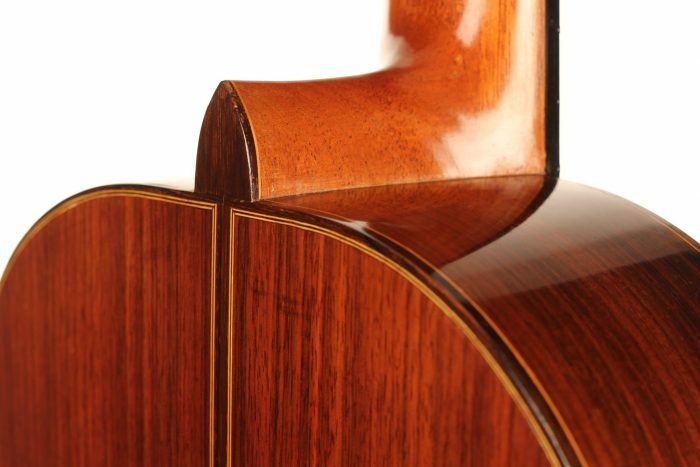 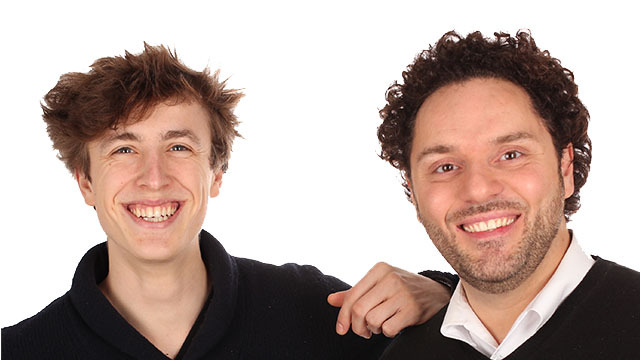 It has an endless sustain and the overtones are almost like a symphony orchestra. 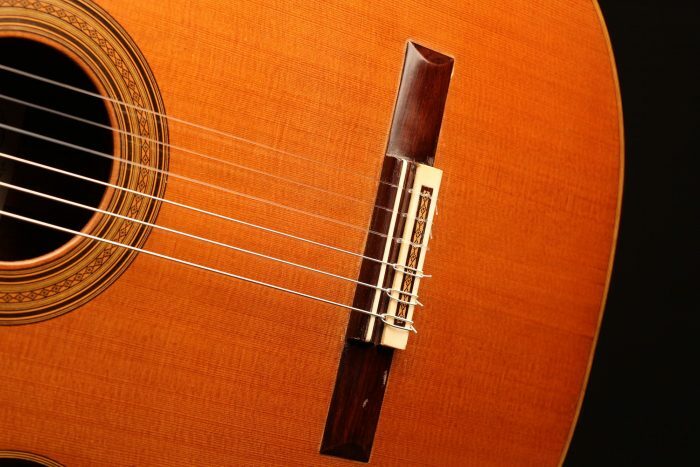 The dynamic possibilities are endless and the volume is remarkable. 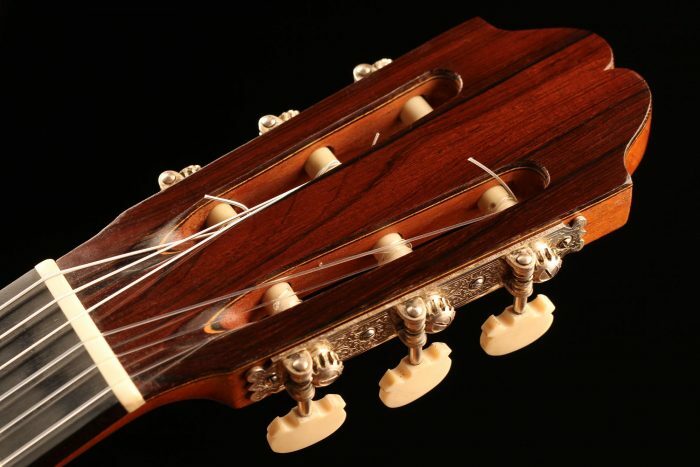 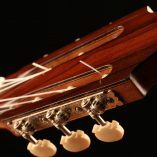 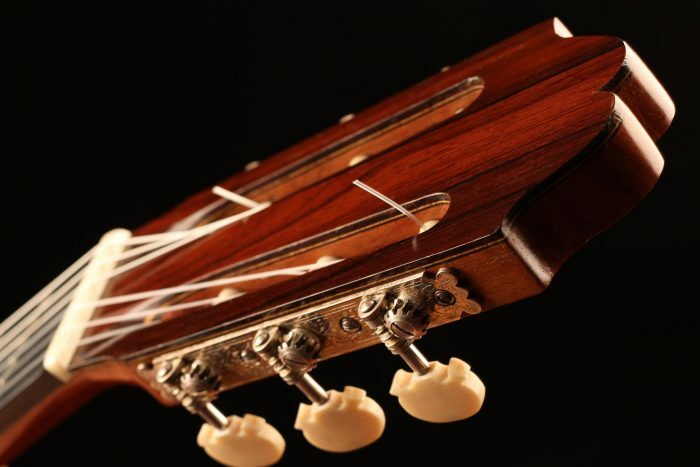 This instrument is perfectly tuned and allows the guitarist to play freely with ease.